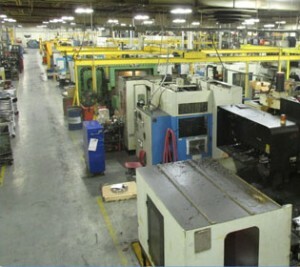 Valley Machine Co. is a full service machining and fabrication supplier of components and assemblies to a broad array of industries. Established in 1975, Valley Machine Co. marries experience in machining and fabrications with a relentless pursuit of quality, customer service and continuous improvement—all with the goal of becoming a “One Stop Shop” for all your manufacturing needs. Our 80,000 square foot facility is ISO9001 certified to the latest standard, as well as supplier certified to numerous standards. At Valley Machine Co., we believe in building long-term relationships with our customers, no matter where in the product life cycle we begin our partnership. We focus on helping you achieve your business objectives through quality parts, on time deliveries, competitive prices and our full support.